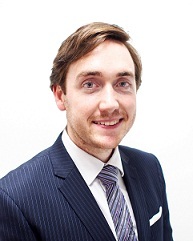 Brenton was admitted as a solicitor in 2015 and prior to that worked as a clerk with Sally Nash & Co. He conducts debt recovery litigation as well as winding up and bankruptcy matters. In particular, Brenton manages matters in both the Small Claims and General Divisions of the Local Court of New South Wales. In addition to his knowledge of the practice and procedure of the Courts, Brenton is able to give efficient advice and manages the drafting of Statements of Claim, Applications for Default Judgment, Writs of Execution and Garnishee Orders.